Talking about his new film, Sarangi says, “When people die, they become stars is a common belief. This film promulgates such belief in view of those killed by the State forces like in police firing, fake encounter, in custody and by the private armies of the corporations. The killing of common people and the rise of corporations have been a reality since economic reforms in India." Deba Ranjan’s “The Conflict – Who’s Loss, Who’s Gain”, a 90-minute film in Odiya sub-titled in English, produced by Pedestrian Pictures explores the lives of a tribal community in Odisha which finds itself on the wrong end of India's progress. Mass movements towards globalization and industrialization put their lives and livelihoods at a greater disadvantage than ever before. The film also focusses on the communal violence in Kandha following the murder of Swamy Laxmananda on 23 August 2008, unfolding the sad tale of scarring violence inflicted on converts from lower castes by the upper castes in the area. “The Conflict” is a courageous and pain-staking coverage and investigation set in real-time about the lives of a tribal community in Orissa. It offers a completely different perspective on the “development” model India tries to present across the media and in the public domain. It unfolds a tragic story on the misfortune of adivasis who are losing and will continue to lose land, their homes and their indigenous culture. Tribals in Kandha and Kashipur have been suffering untold miseries thanks to a government that revels in playing the ignorant onlooker. The film also speaks about the adivasi community Kondh with whom Sarangi has been working for eight years before he made this film. “Since then we have been trying to get justice and have been carrying a fight against the Aditya Birla group’s Utkal Alumina Company and here is where the Odisha police shot and killed three tribals to set an example for those who dare to protest. The Justice PK Mishra Commission was set up by the Government of Odisha to enquire into the case of police firing. But the Commission gave a clean chit to the police and justified the acquisition of land for the 'development' of tribals." The flashbacks are shown in blue-tinted monochrome and turn to colour when we come back into the present. Almost 150-200 villagers were booked under a charge of attempt to murder (of the police) says SibramNaik who was arrested on the same characters in 2005. Sibram says, “Our people were arrested on charges of dacoity, murder, and arson. They were sentenced to 16-17 months and then the company began its work. We lost our people, our land, and our water, but we did not get justice,” adding, “except smoke, what else did we get from the company? We just inhaled the smoke from the company free of cost,” and the camera pans to show industrial smoke coming out of the chimneys to fill the blue sky. He was sentenced for eight years by the Rayagada Additional District Judge Court. 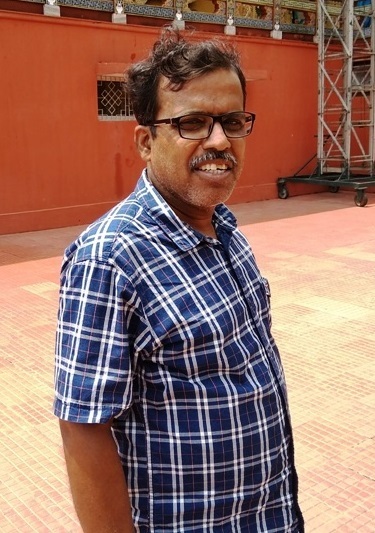 A human rights activist of Odisha, Deba Ranjan writes columns in newspapers on human rights issues. The film is definitely a passion for him. “Conflict” is his fifth consecutive film on the subject of oppression. “I made a documentary on Kandhamal when the anti-Christian violence happened in 2008. ‘At the Crossroads’ explored how the State is engaged with a war against its own people calling them as Maoists. ‘The Last Siddhantic Astronomers’ was my fourth film. It was on the life and work of Samanta Chandrasekhar, a mathematician born in the eighteenth century. ‘Those Stars in the Sky’ is my fifth film in a row,” says Deba Ranjan. 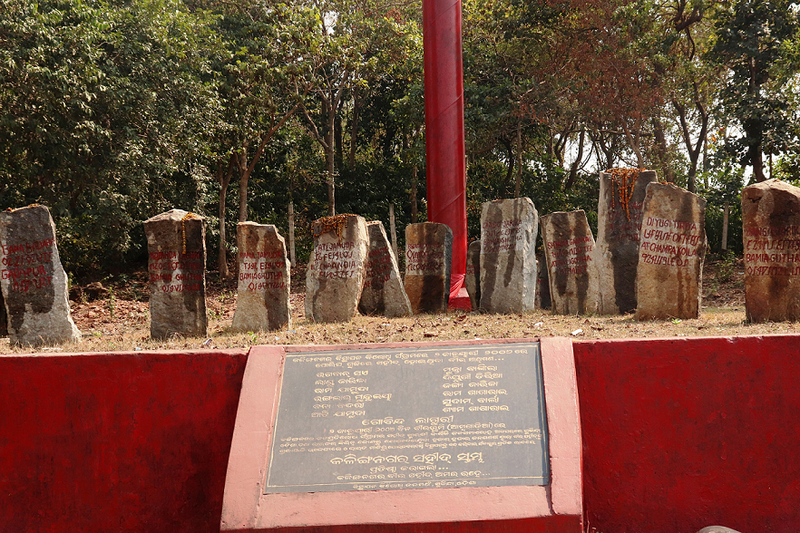 On March 2, 2013, three leading activists of the Posco Pratirodh Sangram Samiti, namely Narahari Sahu, Tarun Mandal and Manas Jena were killed in a bomb explosion at the POSCO site. The camera takes a mid-shot of three dead bodies lying covered with a single white sheet on a field with villagers standing nearby. The camera cuts to a dead body garlanded with marigold flowers with the carriers and the crowd raising slogans of “Long Live”. We are given a glimpse of three burning pyres while an activist stokes the fires. The entire film is visually rich but does not compromise on glamour at all. Instead, it chooses to narrate the tragic stories that underline the so-called “development” through the gross violation of human rights of the adivasis of different districts of Odisha. The camera moves to the empty huts in the village to enter the hut of Manas Jena and closing in on his widow with a small son. On June 22, 2005, South Korea had signed a Memorandum Of Understanding with the Government of Odisha for a steel plant on the coastal area of Odisha. The camera moves to the centre of the Anti-POSCO Agitation Area at Jagatsinghpur District and we are taken to a man foldingbetel leaves and snipping off the stems in this betel leaves-rich area. A female voice-over fills in the pathetic details of how the government and its police did not spare the betel farms too. But the POSCO spokesman insists that the life of the common man will be five times better than what it now is and also solve the unemployment problem. But how? When farmers are already tilling the soil. 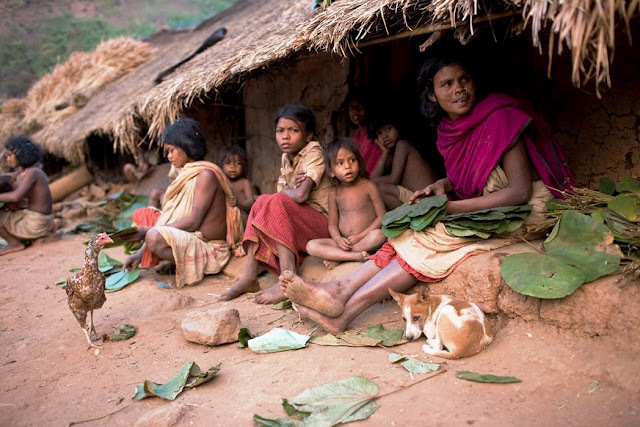 Rice, betel leaves and coconut and lots of medicinal plants abound in Odisha so how can illegal industrialisation disguised as development bring progress to the adivasis in the state? Tapan Mandal, an activist of the anti-POSCO struggle was killed in a bomb attack by the goons of POSCO on 20 June 2008. A gravestone with a marble plaque bearing his name stands in his memory. Debendra, a villager, says that monarchy is in full swing through the spread of police oppression to control rebellion by the local villagers in the area. The government has deployed armed police to cover the entire DhinkiaPanchayat which shows how much they are in love with POSCO in Jagatsinghpur District. “We, the villagers of DhinkiaPanchayat have appealed to the nation to safeguard democracy in our area. “The government and the Tata company have jointly killed us. My stand is – either you kill me or you send me to jail,” says Sini Soy who was jailed for 21 months with five criminal cases lodged against her. But she was acquitted of all of them. The focus shifts to Niyamgiri Hills which is an anti-Vedanta struggle area. In 2006 Sterlite, a subsidiary of UK mining company Vedanta built a refinery in Niyamgiri Hills, Orissa, India. The intention was to mine bauxite from the Niyamgiri Hills, which is a reserved forest area. It is also home to indigenous communities who are dependent on it for their livelihood. Niyamgiri is the source of two rivers Bansadhara and Nagaballi. The refinery consumes 30,000 cu.mtrs of water per day severely affecting the ecological systems and the communities. The toxic waste material from the refinery pollutes air, ground and water. Since 2003 different groups have mobilized to fight Vedanta. Has the mining project, thrown hundreds of tribals living off and within Niyamgiri Hills into an uncertain future that spells their death? The region is riddled with many deaths due to malnutrition, mental pressures and fear. DrikaKadraka, an old man who was the leader of the Anti-Vedanta Movement in Niyamgiri hung himself to death from a jackfruit tree on November 15, 2015, for fear of the police. He was the key person of the movement. Drika had farms in Chakata village in the MunijolePanchayat and like Drika, the Save Niyamgiri Movement against Vedanta has lost many of its activists. MandaKadraka, another activist was killed in an “encounter” by the paramilitary forces on 27 February 2016 and the police claimed he was a Maoist. Bari Pidikaka died due to lack of proper treatment in Rayagada Jail on 27 June 2017 after spending two years in jail. In 2006, Vedanta had constructed its Alumina Plant in Lanjigarh in Kalahandi without its bauxite mining lease. When Vedanta began mining bauxite from Niyamgiri, the adivasis strongly opposed the move and the matter reached the Supreme Court. The firm is called SESA Sterlite Limited. A Supreme Court Order commanded a sensitization of the mining activity 10 km away from the top of the hill so that the central worshipping place of Niyamgiri remains undisturbed. Finally, all village councils of Niyamgiri unanimously opposed the government of Odisha’s plan of giving mining lease to Vedanta and then, the Supreme Court cancelled the mining lease Vedanta was given. But the Niyamgiiri residents are not happy. “We will continue to fight till the factory at Lanjigarh is closed. LadoSikaka, leader of the Anti-Vedanta struggle says, “As long as the factory is there, the danger of our extinction is there. Then we get to see and hear of a chain of deaths resulting from severe malnutrition. 19 children of Nagada village in Odisha’s Jajpur district died of Bronchopneumonia and Malaria in July 2016 as a direct result of severe malnutrition. One news headline dated August 20, 2016 stated that the Government of Odisha “admits the death of 22 tribal children due to malnutrition” according to Child Development Minister Usha Devi. Every year, children die of diarrhoea and severe vomiting and the villagers have neither money nor food to take them to hospital. This is more common in Nagada Hills in the Jajpur District of Odisha. But the adivasis and the local villagers are unwilling to let go. And the fight goes on though the sky fills up with stars and stars and stars.